this week, vintage luk thung from "national artist" mr. chaichana bunnachot! 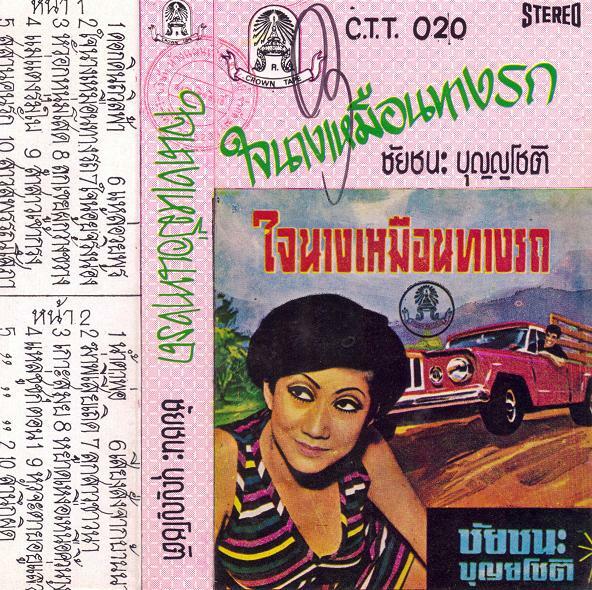 one of the earliest practitioners of thai country music, chaichana has remained a favorite throughout the years as both a singer & songwriter. hailing from central thailand's chachoengsao province, he grew up working on a mango plantation before joining his uncle's liké troupe, where he learned to sing all manner of folksong. eventually, he left for bangkok with his brother and the two sang at bus terminals throughout the city, earning some renown as street performers. chaichana soon turned his talents towards the new style being pioneered by khamron sambunnanon, which would come to be known as luk thung. he came to the attention of songwriter & bandleader phayong mukda, who penned his earliest songs. from there he worked with other songwriters like phaibun butkhan & phiphat boribun before eventually coming into his own as a songsmith. for many generations chaichana has been a star performer and mentor to younger singers, and is still performing today! enjoy! Thank you for all the great music - and the background info - much appreciated! your blog brings so much joy to my life. thank you so much. ...oh, and i second the background info appreciation. Good work! 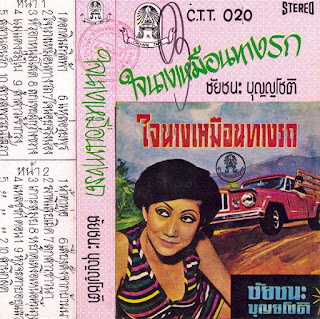 i like your work about old thai music.